The growth of the paleo movement1 and a greater focus on environmentally sustainable products have brought a wealth of new choices to your supermarket aisle. Olive oil has been joined on the shelf by newcomer oils including avocado, safflower, palm, coconut and canola. In this series, we will tackle each of these, looking at the chief differences between them and olive oil. But today we are looking at the oil that has generated more buzz than almost all the other newcomers combined: coconut oil. 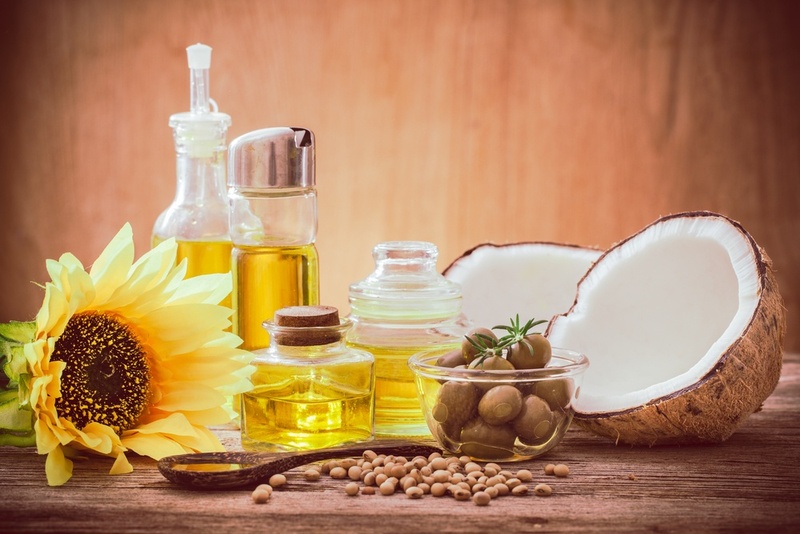 Proponents of coconut oil have extolled benefits including heart health and weight management and all this attention can make it hard to decide at the checkout counter: which oil is really best for you? How does the humble, centuries-old olive oil stack up? Calorically speaking, olive oil and coconut oil are very similar, with 119 calories in a tablespoon of olive oil and 120 in coconut oil. DRAW. In the kitchen, both oils take the heat. Although they have relatively lower smoke points compared to other cooking oils, recent research found that both performed best in terms of stability and safety at high temperatures, with a slight advantage going to olive oil. [CITE BLog]. SLIGHT ADVANTAGE, OLIVE OIL. Monounsaturated fats lower your LDL cholesterol (and do not contribute to LDL oxidation) which improves overall heart health. 1 tablespoon of olive oil contains 11g of MUFAs3 . Comparatively, 1 tablespoon of coconut oil holds .8 gm of MUFAs. Taken a different way, olive oil has over 10x the amount of good fat as coconut oil. ADVANTAGE, OLIVE OIL. Saturated fats can drive up LDL cholesterol and according to a recent meta-analysis of 21 different studies4 can result in higher risk factors for heart disease. They are best consumed in moderation and the American Heart Association’s dietary guidelines5 recommend that you should eat 10% or less of your daily calories from this group. For an average adult, consuming 2,000 calories per day, this works out to 20 gm. 1 tablespoon of olive oil contains 1gm of saturated fat, while coconut oil has 12gm; a single serving of coconut oil contains over half of the recommended daily amount of saturated fats. ADVANTAGE, OLIVE OIL. The body of research on the health benefits of olive oil is extensive. There have been thousands of studies spanning much of the past 40 years. Major, long term studies have been conducted to test olive oil’s efficacy in improving cardiovascular health, cancer, joint mobility, metabolism, cognitive faculty and more. While there is a growing collection of studies on the efficacy of coconut oil consumption, it is far more limited. Without them, the long term health benefits of coconut oil are still unclear. ADVANTAGE, OLIVE OIL.